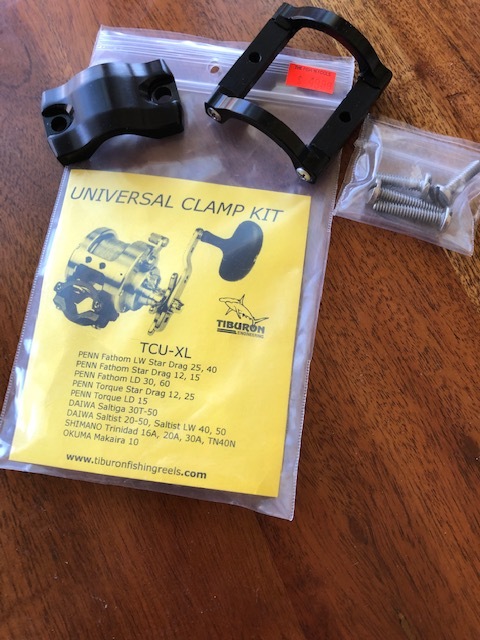 Okuma Makaira and Andros reels have dramatically altered the offshore fishing scene with concepts of Dual Force Drag, stainless steel drive systems, helical cut gearing and incredible corrosion protection to advance the angler’s experience. For 2016, Fred Hall new products include revolutionary new rod technology. 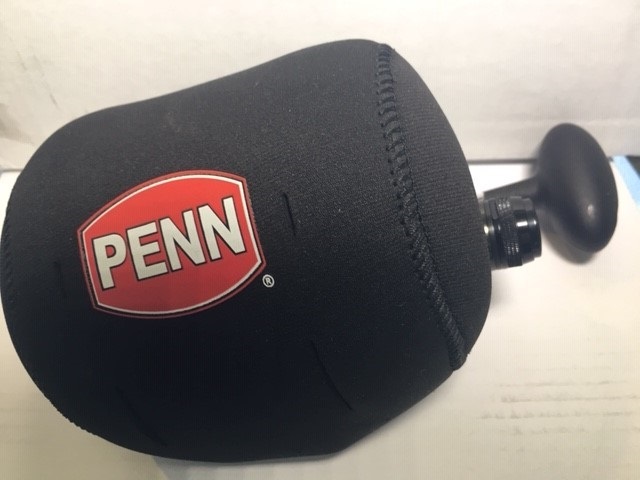 Southern California anglers at this year’s show will be introduced to concepts that include Unidirectional Fiber Reinforcement and Spiral Carbon Technology. You may have already seen this video by the Excel that was shot on a Water Wolf HD camera. Even if you have, it’s good for many views. Come to the Okuma booth and check out the Water Wolf camera in person and find out how you can capture amazing strike footage with the simple to use Water Wolf. New SCT Boat Rods utilize advanced technologies to create refined, powerful rods with both exceptional feel and rock solid durability. The first is a proprietary blank construction process dubbed Unidirectional Fiber Reinforcement. UFR blends unidirectional fiber over 24-ton carbon in the extended tip section of the rod to increase lifting strength and power by as much as 3x. The second is Okuma Spiral Carbon Technology that reinforces the complete rod blank with a double helix carbon thread wrap containing over 6000 individual strands of carbon fiber. In combination, the finished rod remains exceptionally agile, delivers great feel, and is fortified against common mishaps in rod handling. Thirteen new models capture core techniques from live bait, to troll, to XXXH and XXXXH power rail rods. The Metaloid family has grown. 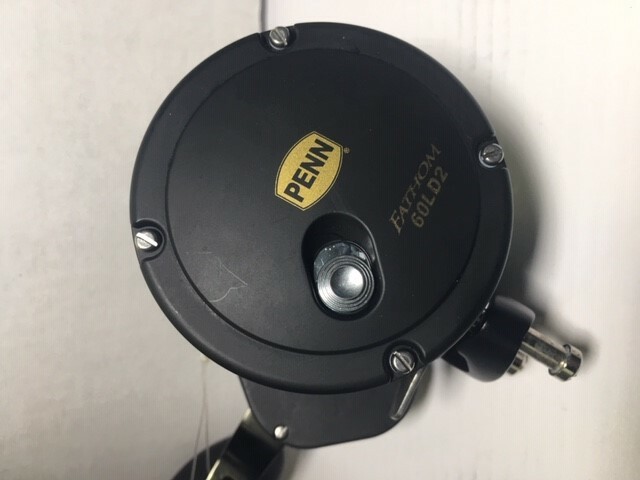 This compact family of extreme power reels now includes singe speed models in size 5 Narrow, 5 and 12 with black cosmetic. 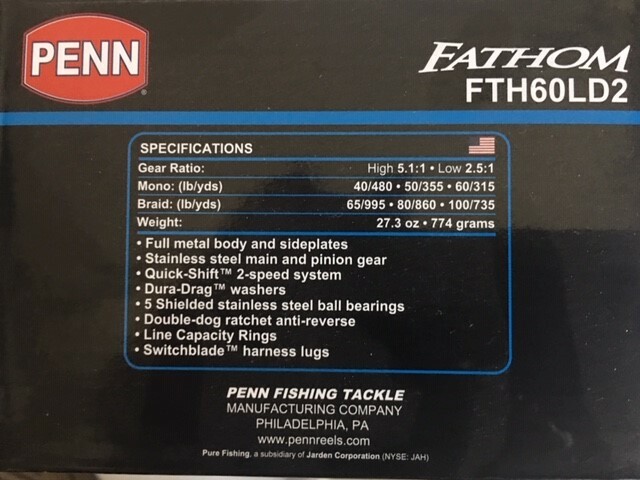 Two-speed models include size 5 Narrow, 5 and 12, with left retrieve option in the size 5 and 12. And finally new red or blue two-speed models in the size 5 and 12. 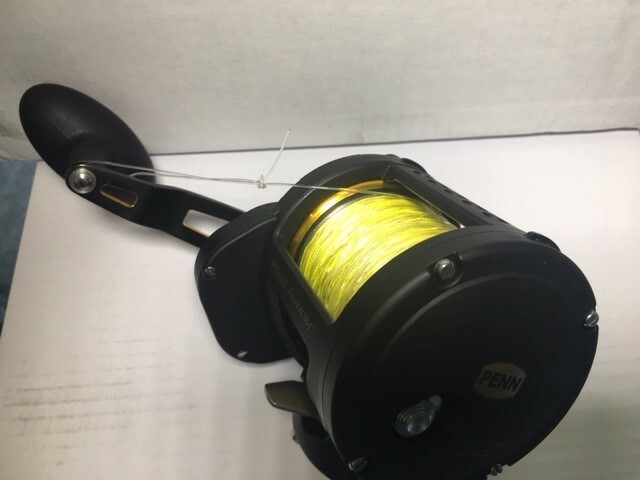 Recognizing the incredible value available to anglers in the Metaloid platform, new Metaloid Blue two-speed reels were awarded the Best New Saltwater Reel Award at the January Big Rock West Show in Las Vegas. 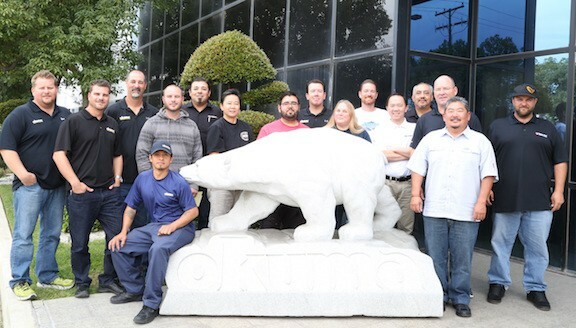 On the heels of exceptional reel introduction that include the Komodo 350 and Cortez reels, Okuma completes their nearshore fishing system with new SCT Inshore Rods. Lighter, more responsive and flat out stronger- SCT Inshore rods are the ultimate compliment to braided line. Designed specifically for the Southern California angler, four 8-foot to 8’6″ rod models complete this series focused on casting lures for Calico Bass and Yellowtail. SCT Inshore rods utilize two core technologies to advance angler performance. The first is a proprietary blank construction process dubbed Unidirectional Fiber Reinforcement. This process blends unidirectional fiber over graphite in the extended tip section of the rod to increase lifting power, strength and durability up to 3x. The second is Okuma Spiral Carbon Technology that reinforces the complete rod blank with a double helix wrap configuration containing over 6000 individual strands of carbon fiber. 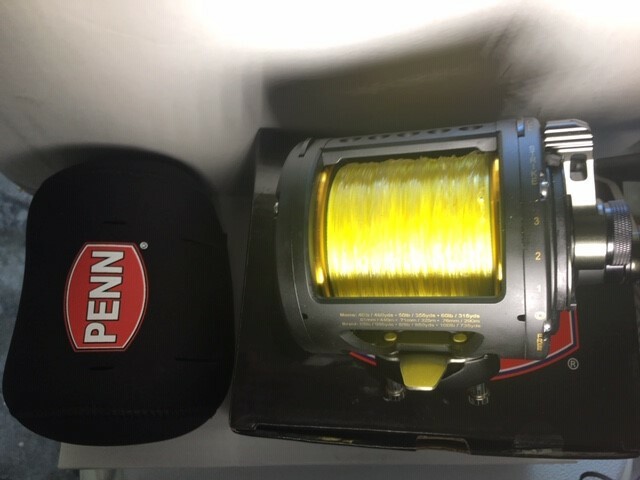 Where original gold Makaira reels utilizes a full grease pack on the spool bearings to maximize corrosion resistance, the Special Edition lineup utilizes spool bearings oiled with TSI-301 oil, a low friction lubricant that increases freespool performance 2.5-times that of standard Makaira for live-bait applications. 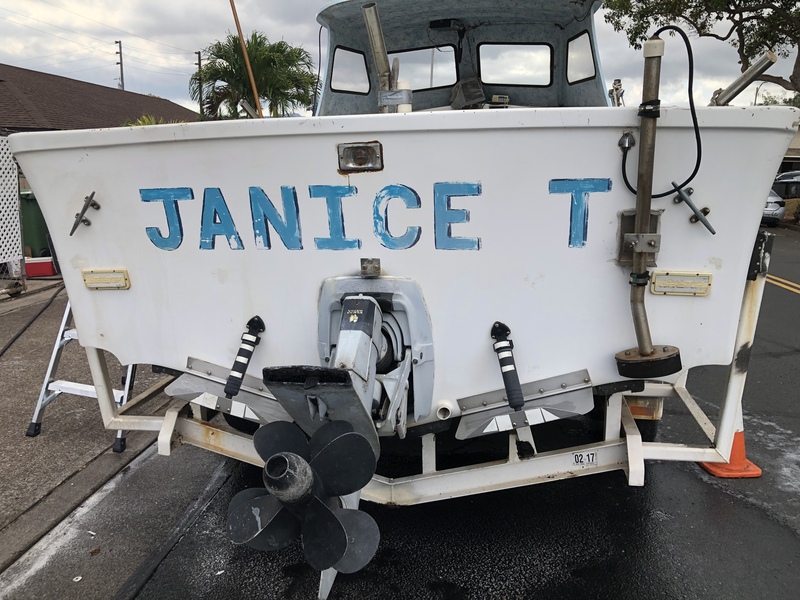 Furthermore, Makaira Special Edition models use larger handle arms and lower low-speed gear ratios for cranking in giant tuna from an often-anchored boat. For 2016, three new model additions have been made to the Special Edition line up, new size 50W, 80W and 130. New SCT Albacore rods deliver a precise selection of school-tuna actions, constructed with inspired strength and elegant design. There are two technologies at the core of SCT Albacore rods. The first is a proprietary blank construction process dubbed Unidirectional Fiber Reinforcement. This process blends unidirectional fiber over the 24-ton carbon blank in the extended tip section of the rod to increase lifting power and strength of this critical area by as much as 3x. 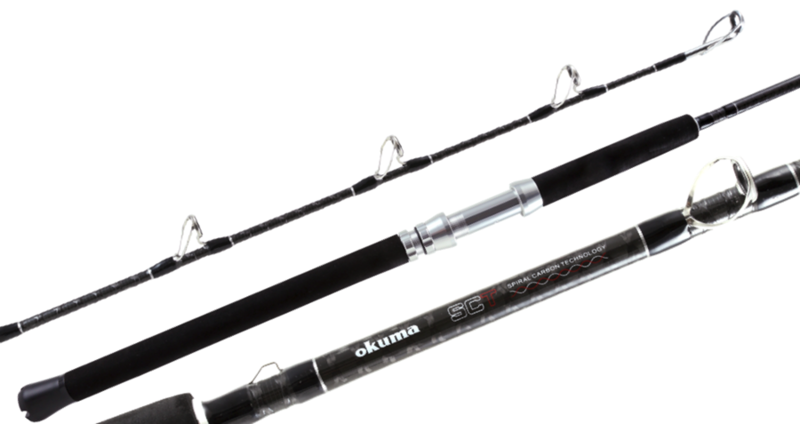 The second is Okuma Spiral Carbon Technology that reinforces the complete rod blank with a double helix wrap configuration containing over 6000 individual strands of carbon fiber. In combination, the finished rods remain exceptionally agile, deliver great feel, and are fortified against common mishaps in rod handling. 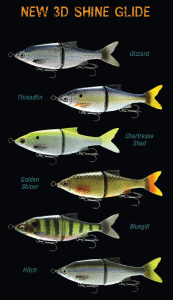 Within the five rod selection, an angler can outfit every technique in the fishery. Guide Select Swimbait rods have been a long-time favorite of Okuma anglers. Nevertheless, advancements in construction technology offered the perfect time to overhall and upgrade the product line. New Guide Select Swimbait rods are constructed with Okuma Unidirectional Fiber Reinforcement to deliver an increase in lifting power of the tip section of up to 3x Guide Select Swimbait rods include three 7’11” models with lure weights of 1- to 6-ounces, 2- to 10-ounces and 5- to 14-ounces. 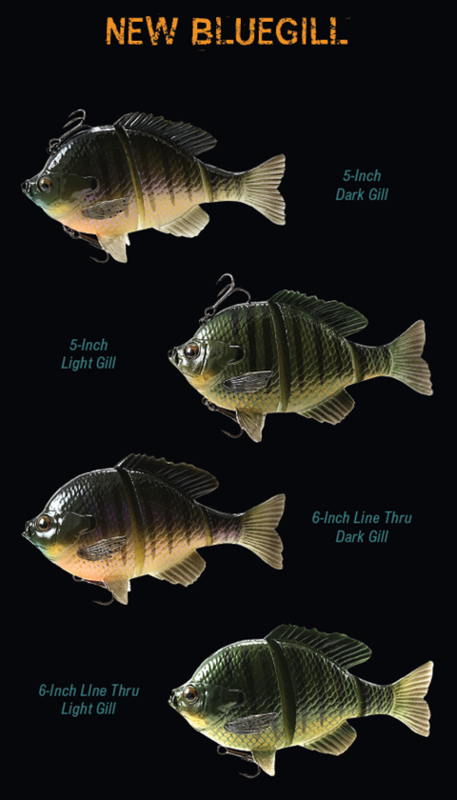 Fred Hall Show participants will be the first to lay eyes on the all-new Savage Gear Bluegill. 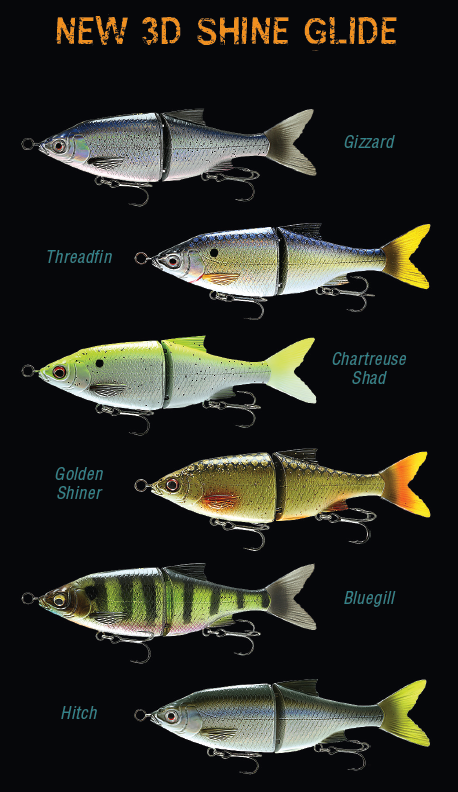 Two models include a 5-inch rigged bait and a larger 6-inch line-thru model. Trophy bass anglers will want to see these in the Savage Gear demo tank! 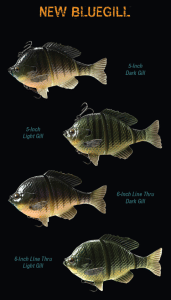 The Savage Gear 3D Shine Glide is a slow-sinking, erratic-swimming glide bait. In 5-1/4-inch and 7-1/4″ sizes These baits are deadly on trophy largemouth bass, smallmouth bass, striper, musky and more. On a slow retrieve the bait glides from side-to-side. A slight pop of the rod tip will increase the darting action. The 3D Shine Glide is also deadly on a twitch-and-stop retrieve.